Judy Glockler is a professional, career-long Award Winning REALTOR®, and third generation Chicago area native, who has been successfully helping home buyers and sellers in Chicago's suburbs for four decades. A majority of The Glockler Group's clients have sold a home, purchased or built a home in Cook, Will or DuPage Counties; however, they have helped clients as far north as McHenry County and as far south as Kankakee County (and as far west as Los Angeles County)! With a rare combination of vast real estate / local market knowledge and marketing expertise, a friendly personality and a strong work ethic, Judy has continued to deliver great results in her real estate career, regardless of economic conditions. She is truly well versed in the many facets of the real estate industry. "Judy is the best. This is the second home that Judy has sold for us and she also sold us our last home. She is trustworthy and full of energy, which makes the experience great! 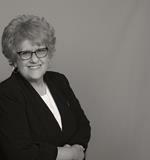 Judy goes the extra mile and we would recommend anyone selling or buying a property to work with her!" The Glockler Group is thankful for their industry-leading, high percentage of repeat clients and referrals - as a result of having client's best interests in mind, truly listening and exceeding expectations. Ranked within the Top 1% of Agents nationwide and is in the International President’s Circle, among the Top 4% internationally qualified. Judy created a local REALTOR® networking group where she, and other top Agents, tour listings to promote them and get broker opinions, which sellers, buyers and brokers love. The Glockler Group's marketing is among the most extensive in the local real estate market. In addition to Coldwell Banker Residential's professional marketing team and plentiful resources, Judy has an experienced, Northwestern University marketing program-trained director working solely with her who is extremely savvy in all areas of digital and print marketing. Coldwell Banker is the #1 most visited real estate brand online. (comScore 2018 Media Trends), the #1 most influential real estate brand on social media (Klout Dec. 31, 2017) and has over 110 years of success! 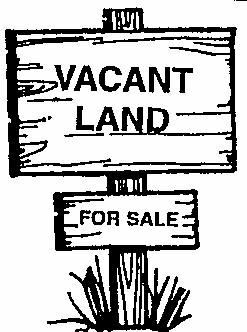 If you are located outside of the Chicago suburban market, or outside of Illinois and are looking to buy or sell? Feel free to email or call us. We can help connect you with a Professional Agent in the area(s) in which you are looking. Buying a House? This Should Be Your 1st Step! Based on information submitted to the MRED as of Apr 23, 2019 11:14:pm. All data is obtained from various sources and has not been, and will not be, verified by broker or MRED. MRED supplied Open House information is subject to change without notice. All information should be independently reviewed and verified for accuracy. Properties may or may not be listed by the office/agent presenting the information.